When summer starts heating up, it's time to begin thinking about lighter dinner solutions. Keep these recipes in mind because each one is delicious, as well as fairly easy to prepare. 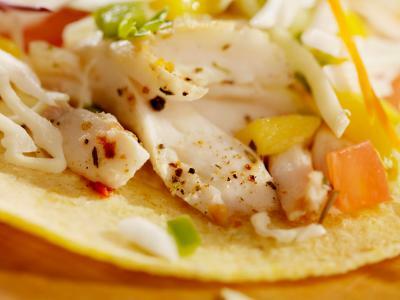 You can certainly find a more complicated recipe for fish tacos. However, this one is perfect when you just want a light, simple dinner. Wash the greens/cabbage in cold water, and then transfer them to a colander to drain. Soak the fish in cold water for 10 minutes, and then pat it dry. Add 1 tablespoon olive oil to a nonstick skillet. Using medium-high heat, fry the fish on both sides until it's firm and you can flake it slightly with a fork. Take care not to overcook it. Move the fish to a warm bowl, flake it, and toss it with 2 tablespoons of lime juice and a little salt and pepper to taste. While the fish is still cooking, put the greens in a bowl and toss them with a sprinkling of apple cider vinegar. Warm the tortillas slightly in the microwave. Lay some greens on the tortilla. Add some fish down the center. Top with a little mango salsa. Fold the tortilla over and enjoy. This platter includes all four food groups without requiring even a glance at your oven. Of course, you can substitute any of your favorite fruits, cheese, and vegetables for those listed here. 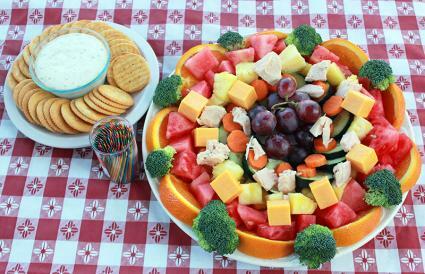 Arrange all the fruits and vegetables in their own groups on a large platter. Scatter the top of the platter with cheese and chicken breast chunks. Serve with toothpicks, crackers, and ranch dressing. Fettuccine cooks up quickly. Add some butter, extra virgin olive oil, and a little parmesan cheese, and turn it into a super fast, yet satisfying, dinner. Boil the pasta according to the directions on the package, adding four tablespoons of salt to the cooking water. Once the pasta is done, drain it and reserve about 1/4 cup of the cooking water. Divide the pasta among four warmed bowls. Top each with one tablespoon of butter, one tablespoon of olive oil, and one tablespoon of cooking water. 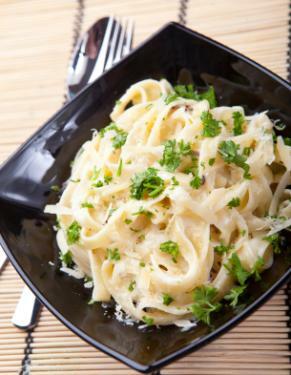 Toss the pasta, butter, olive oil, and cooking water until the butter is completely melted. Sprinkle each serving with 1/2 cup freshly grated Parmigiano-Reggiano cheese, tossing again to incorporate. Sprinkle with sea salt to taste, and garnish with a little chopped parsley for color. Serve hot and freshly mixed! This fresh and tangy salad makes an ideal dinner on a sultry summer evening when you just can't bear to turn on your stove. It's vegetarian, but you can add some grilled chicken if you like. Combine all the dressing ingredients in a large bowl and whisk until combined. 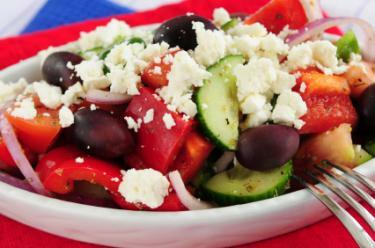 Add all the ingredients to the bowl, except the feta, and toss with the dressing until well coated. Chilled and naturally sweet with a hint of savory, this soup is delightfully refreshing. Add the olive oil to a stock pot, and sauté the carrots and onions together on medium-high heat until they are just beginning to turn tender. Add the vegetable stock to the pot and bring to a boil. Once the broth begins to boil, reduce the heat, cover the pot, and let the soup simmer for about 20 minutes. Remove the pot from the heat and let it cool until it's just warm. 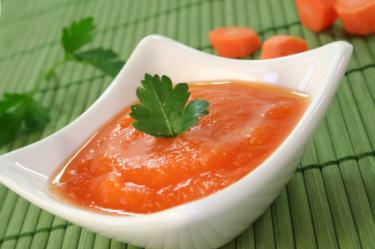 Purée the soup, and then put it in the refrigerator to chill for approximately 4 hours. Ladle the chilled soup into bowls, garnish with a sprig of parsley, and serve some bread on the side. Whether you want to prepare dinner for your family or you're planning a summer dinner party with friends, all of these dishes make wonderful warm weather fare. Give them all a try and decide which ones are your favorites.